Bonus: A good chunk of these fitness activities are free. By Adjua Fisher·	 4/30/2015, 5:30 p.m.
We’ve got lots of fun stuff on the fitness roster this week, from cheering on Broad Street runners (if you aren’t running yourself) to outdoor yoga followed by beer with CoreFitness to a seriously tough H.I.I.T. run to the Art Museum, and more. Take your pick, people! When: Sunday, May 3rd at 8 a.m.
Where: Starts at Broad Street and Somerville Avenue; ends on South Broad Street at the Navy Yard. If you aren’t one of the 40,000 folks running the iconic annual 10-miler, then whip out your arts-and-crafts box, make a funny sign, and head out to Broad Street, anywhere between Somerville Avenue and the Navy Yard in South Philly, on Sunday morning to cheer the runners on. Where: Lululemon Cherry Hill, 2000 Route 37, Unit 1143, Cherry Hill. The brand spankin’ new Lululemon at Cherry Hill Mall opens on Friday, and all sorts of fun stuff will be going on throughout the weekend. Saturday they’ll have an all-day party, complete with a DJ and yoga-mat art station. 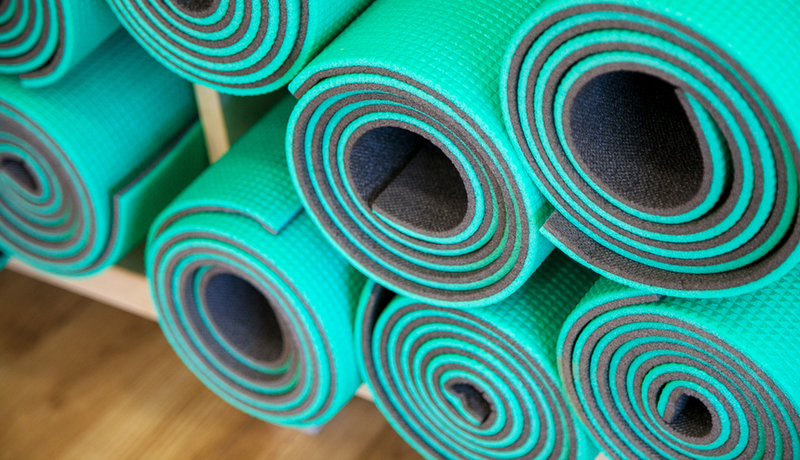 And Sunday morning, the day will kick off will a free yoga class at 9:30 a.m. Post-yoga, they’ll have fresh Animo juice on tap to help you refuel, plus all sorts of stuff for Broad Streeters, like chair massages and a foam rolling station. When: Saturday, May 2nd at 11 a.m.
Where: City Tap House, 3925 Walnut Street, University City. 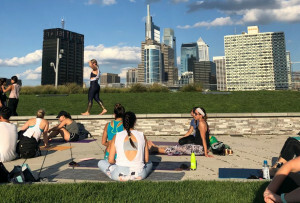 Well, this is a sweet deal: $20 will get you an outdoor yoga class led by CoreFitness on City Tap House’s outdoor patio, plus a cold beer afterward. Perfect start to the weekend, don’t you say? When: Friday, May 1st and Sunday, May 3rd. Where: Allongée Studio, 68 North 2nd Street, Old City. 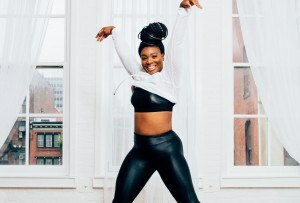 As part of their soft opening, throughout the weekend, Old City’s new dance-and-yoga studio Allongée will be offering four free classes: On Friday, they’ll have Vinyasa at 4:30 p.m. and Total Body at 5:45, and on Sunday they’ll have Vinyasa at 9 a.m. and Core Cardio at 10:15. Shoot an email to bodylogicinfo@gmail.com to reserve a spot in one of the classes. When: Sunday, May 3rd at 11 a.m.
Where: The Restaurant School, 4100 Walnut Street, University City. Give your liver some love with this cooking class, taught by cookbook author Christina Pirello, featuring dishes designed to reboot and nurture your liver. It’s $30 to participate. 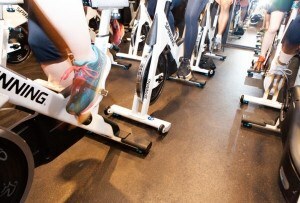 When: Saturday, May 2nd at 9 a.m.
Where: Meet at Weston Fitness, 1835 Market Street, second floor, Rittenhouse. This weekend will be the first of a series of the gym’s Saturday morning workouts that combine cardio and strength-training over the course of 75 minutes. The workout includes a two-mile run to and from the Art Museum, stopping for strength circuits throughout. Trust us — your abs will thank you. It’s $20 per class, but your first class is free.